A mother in Michigan was trapped by a decision: Continue to trust in her sick daughter’s doctors, or give her relief with cannabidiol oil. A mother in Michigan, trapped by a decision, took a stand. Continue to trust in her sick daughter’s doctors, or give her relief with cannabis. Her struggle is one a growing number of parents are fighting as they find relief for their children in cannabidiol oil, only to be rejected by doctors afterwards. Bella Chinonis is a 7-year-old little girl with a very serious medical condition. 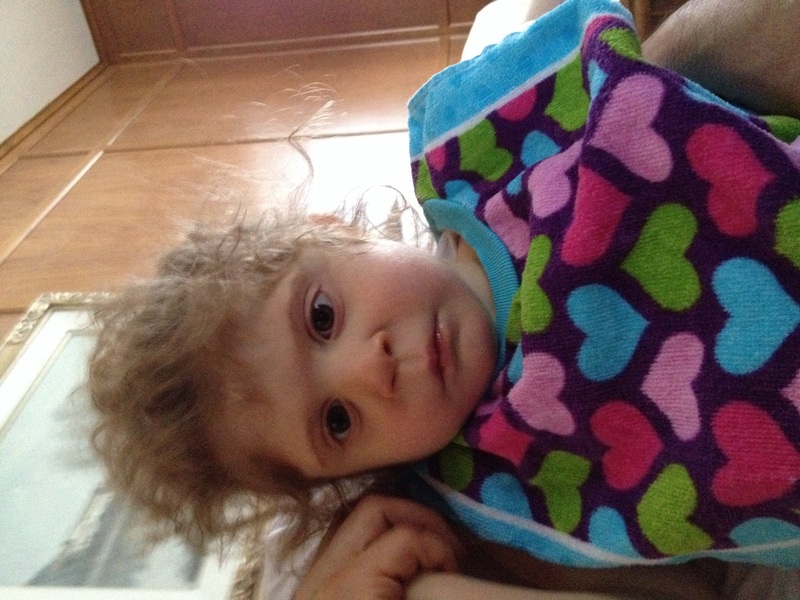 She is missing 21 different genes from her DNA, with a condition known as 1p36 deletion syndrome. The condition has caused her to have 5 to 6 grand mal seizures every month of her life. In addition, she has limited speech, suffers from kidney failure, and has multiple holes in her heart. Last year, her mother Ida desperately gave her a specially formulated dose of cannabis medicine, containing a ratio of both CBD and THC, and a miracle happened. After spending 6 years in the care of a University of Michigan neurologist, Ida was sick of watching her daughter suffer the side effects of prescription medications that were not helping. When Ida told doctors she wanted to try cannabis to treat Bella, they threatened her with termination of treatment. Ida refused to give in to the threat, and Bella was indeed discharged from the care of the institution. Ida, working with the National Patient Rights Association, searched for a new doctor, but time and time again, she was refused. The University of Michigan Medical Center’s spokesman stated that their physicians do not recommend medical marijuana in lieu of prescription medications because it is not FDA approved and there is no solid scientific evidence that it benefits patients. It wasn’t until the local news picked up the story that a University of Michigan doctor contacted the family and agreed to treat the child. The doctor specified that he would not prescribe medical marijuana for her, however. According to Michigan law, a child needs 2 doctors to recommend medical marijuana to be eligible; adults only need one. Ida took her daughter to Detroit and Texas in order to find those 2 doctors. Now Bella is one of 150 children approved for medical cannabis use in Michigan. Even with her cannabis medicine 3 times a day, Bella will still face challenges for the rest of her life as she will never develop like other children. But now that she can chew, walk, talk, and even play, her future, and her family are filled with hope. Do you feel that all doctors should be required to take educational seminars to better understand how cannabis affects the body and how cannabidiol oil can help patients? Share your thoughts on social media or in the comments below.